Last week, Browserling, world’s leading cross-browser testing company, announced that they’re launching a network of online developer tools that offer simple, free and easy to use utilities for programmers. They’re starting with four sites in the network and will be expanding their network to thirty websites. Each site in their network covers one specific programming category. There are no ads, popups, blinking download buttons, or other garbage. Just useful utilities that work in your browser. All utilities are created by skilled software engineers and they just do the right thing. Let’s review first four sites in the network. 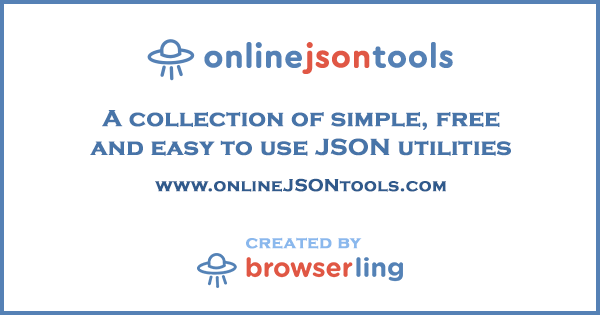 Online JSON Tools is the first website in Browserling’s online tools network. It’s all about working with JSON data structures and objects. You can perform all the most common operations, such as minify JSON, beautify JSON, validate JSON, escape and unescape JSON, convert JSON to XML, CSV, TSV, and YAML, and encode/decode JSON to/from base64 encoding. Soon you’ll also be able to syntax highlight JSON and edit it in your browser, display a summary of JSON object statistics, flatten JSON objects, convert JSON to HTML tables and LaTeX tables, compare two JSON structures, and encode and decode JSON to and from percent-encoding. Online String Tools is the second and the largest website in Browserling’s online tools network. It’s all about working with strings. There are over 100 tools in this website and many more are getting added every week. 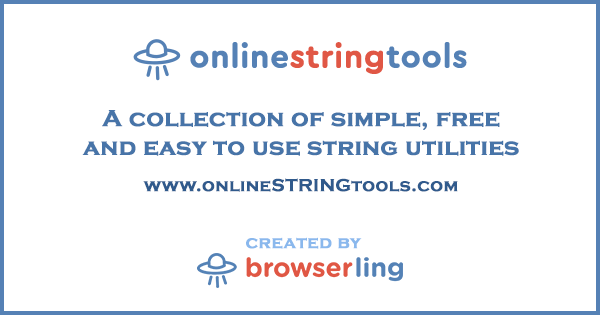 Online String Tools allow you to encode, decode, convert, filter, replace, and generate strings right in your browser. For example, you can URL-encode and URL-decode strings, HTML-encode and HTML-decode strings, base64-encode and base64-decode strings, slash-escape and slash-unescape strings, generate random strings and generate strings from regular expressions. You can split strings, join strings, convert strings to binary and ASCII codes. And much more. The upcoming tools in Online String Tools website will be a multi-replace string tool that allows you to replace multiple strings at once, online diffing tool that will show changes between two strings, Levenshtein distance calculator, which will also let you view the distance visually, a string rewriting system, Zalgo string generator, and a string typo generator. 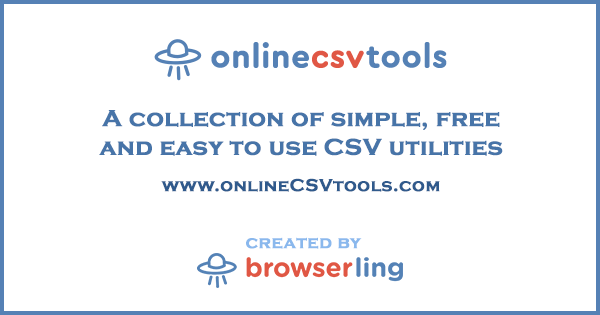 Online CSV Tools is all about working with Comma Separated Values (CSV) files and data. It currently offers over 20 CSV tools. You can convert CSV to JSON, XML, TSV, and YAML. Encode and decode CSV to and from base64 encoding, and perform various row and column operations, such as swap CSV rows, replace, append, insert, and delete CSV columns and transpose CSV. Here’s a list of CSV tools that Browserling has planned adding in the next few months. You’ll be able to convert CSV to a PDF document and HTML, Excel, and LaTeX tables, then create images of CSV data, generate SQL queries from CSV files, merge CSV files, change quoting of CSV fields, delete empty CSV rows and columns, minify CSV and also diff two CSV files to find differences. 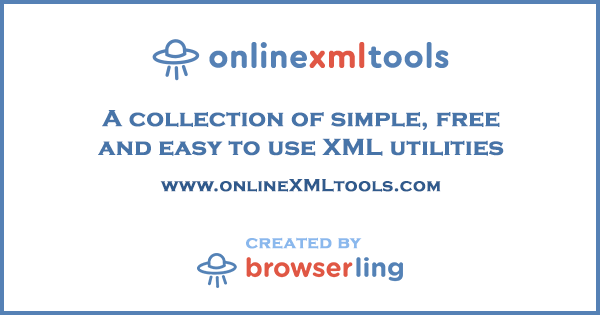 Online XML Tools is a collection of useful XML utilities for working with Extensible Markup Language documents and data structures. You can beautify XML, minify XML, escape and unescape XML, validate XML, and convert XML to various other data formats, such as JSON, CSV, YAML and XML. You can also encode and decode XML that’s been stored in base64 encoding. Some of the upcoming tools in XML tools collection will be XML syntax highlighter and XML editor, then you’ll be able to view XML document statistics, and compare two XML files for visual differences. If you love what Browserling is doing you can follow @browserling on Twitter or follow Browserling on Facebook. Original content copyright © 2007-2017 Tim Toady. All rights reserved.